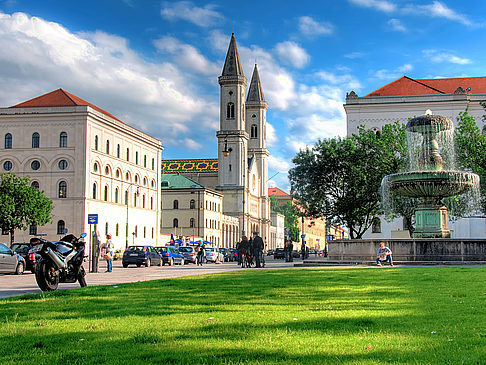 The Ludwig-Maximilians-Universität (LMU) Munich and the Universität Regensburg, Germany, organized a cooperative venture - the Graduate School for East and Southeast European Studies. The School is funded by the Deutsche Forschungsgemeinschaft (DFG). infrastructure, migration and transfer of knowledge. The Graduate School draws on the following disciplines: History, Literary and Language Studies, Art History, Theatre Studies, Political Science, and Law. PhD Scholarships are awarded for 2 years with the option of extension for another 18 months. A basic monthly stipend of 1.365 Euro is provided, plus travel funds, grants for material costs as well as child-care expenses. Graduates of any university with a Master degree, a Magister, Staatsexamen or Diplom or graduates of international universities with a comparable qualification can apply. Requirements: knowledge of German and English (knowledge of a third language is preferred); interest in interdisciplinary research questions and sensitivity for transnational and spatial perspectives; independent research project within the fields of interest to the Graduate School. Application includes: research proposal of 4 to 6 pages, work plan and time schedule, CV, degree certificates (after higher education entrance qualification), abstract of the Master’s thesis, list of publications if applicable, references by two university professors. Application form is available online. Deadline for applications is August 24th, 2014.